What are Your top 5 Favorite things about Fitness Inspired? "Fitness Inspired has given me confidence - not just because I look more fit, but because I am so impressed with myself for getting up in the morning and committing to a workout program, and succeeding! That motivation and confidence has touched other parts of my life as well." " In just 3 months I toned my body, lost nearly 20 lbs, and I am definitely much quicker on the baseball diamond. I can say with certainty, even when my baseball season is over, I will continue to take part in the bootcamps. Why? 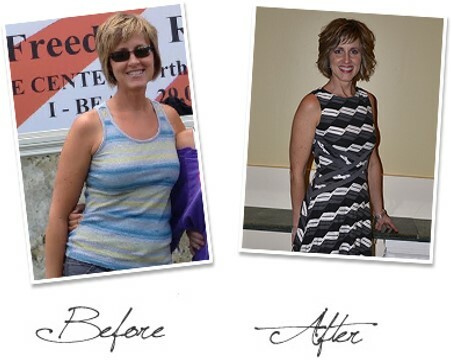 I actually really enjoy it, enjoy the FI boot campers, and I feel great because of it!" "You taught me so much about myself, I never know I could push myself that hard and feel amazing!! As a kid/teenager I had zero self esteem and you helped me find that as an adult. Thank you for being you!!! <3"
"It has shown me how to be healthy. Regardless of my size, pounds or inches lost I want to be the healthiest person both mentally and physically that I can possibly be." "It helped me get started back up exercising and showed me a low-impact option that helped me achieve the results I was looking for! I feel better than I have in years! Excited for the future and feel that I have a plan to carry forward as I age that will keep me healthy, happy and fit!!" "I love being a part of the Fitness Inspired community - it's really changed my life for the better!" 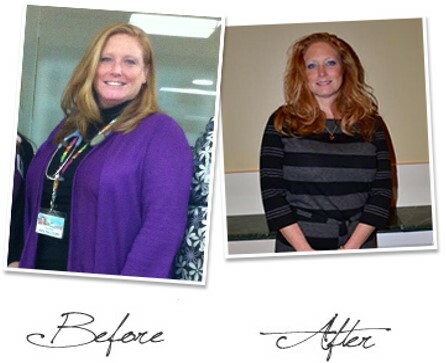 " When I started with FI I was at my heaviest. That was nine months ago. I am now back to wearing my "skinny" clothes. I have gone down 4 pants sizes. The best part is that I am much stronger and healthier than I have ever been in my life." "Kiersten brings an irresistible energy and professional expertise to every exciting workout! She has a magic formula for group morale, accountability and getting RESULTS! I have lost fifteen inches and fifteen pounds in fifteen months. I have never felt more energetic, strong, accomplished, and had so much FUN with any other fitness routine. The positive social environment she creates is amazing and it's a joy to meet people of all ages who are coming together for better health and wellness. " "I'm loving your workouts! It's crazy how motivated they keep me to stay on track throughout the week!" "Thanks for being so inspiring and positive. You work on the mind, body, and soul! No one in town offers what you have to give." In just three months with Fitness Inspired, Cindy has lost and kept off 9.5 inches between her waist and hips (4.5 inches off her waist line alone!) and she can do 17 more push-ups in one minute! Cindy certainly is an all-in kind of girl, she maintains incredible form with every workout we give her! "You (Kiersten) are very good at what you do! Your high energy and encouragement helps everyone push through and do their best!" "Just wanted to say I’m so thankful for you and everything you do for the people in your life. You’re such a motivation to all of us and seeing your face in the morning makes for an amazing day to come"
"Kiersten has been an inspiration to me. She was pregnant when I first joined Fitness Inspired. That motivated me to come back to Boot Camp just 6 weeks after having my son via C-section. I have learned how to lead a healthier lifestyle nut just in my workouts, but also in my eating. I look forward to passing on those skills to my children as they grow up." "The exercise is non-repetitive, intervals, whole-body and doesn't follow the latest fads. The program is common sense." “I ultimately saw success with this unlike anything else! This is so empowering and it feels incredible to reach your goals along with the rest of your team. Best of all, when I hear "You Rock!" I finally feel the self-confidence and strength to respond, "I know!" "The choice to try Fitness Inspired was a turning point for me. I'm enjoying wonderful results and am starting to feel like my outside reflects my inside, and that's a terrific feeling."